“Well done Root,” said Rainford-Brent. “We don’t know exactly what was said but what we can take from it is that whatever Joe thought he heard, his response was one of a leader. 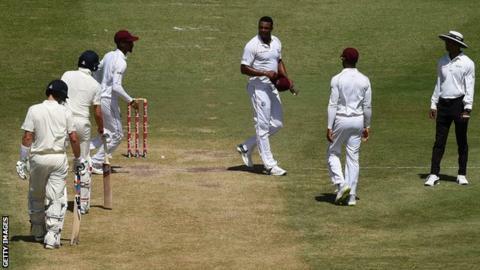 “Players in that scenario could respond in a lot of ways and not say much,” Rainford-Brent told The Cricket Social. “In this age of diversity and people being free to be themselves, when you have an England captain who stands up for something in the moment – and he didn’t have to respond – it was a point that he wanted to make and it was really powerful. Somerset wicketkeeper Steve Davies, who came out publicly as gay in 2011, praised Root’s response. Former Surrey player Rainford-Brent, 35, said it showed “the sort of person” Root is and the “character he has deep down”. Former England captain Alastair Cook said that comments about race and sexuality are “no-go areas”. “If it is a homophobic comment, Gabriel has crossed the line,” he said. Kirsty Clarke, director of sport at LGBT charity Stonewall, said: “Language is really influential and it’s great if Joe Root was willing to challenge potentially abusive comments.